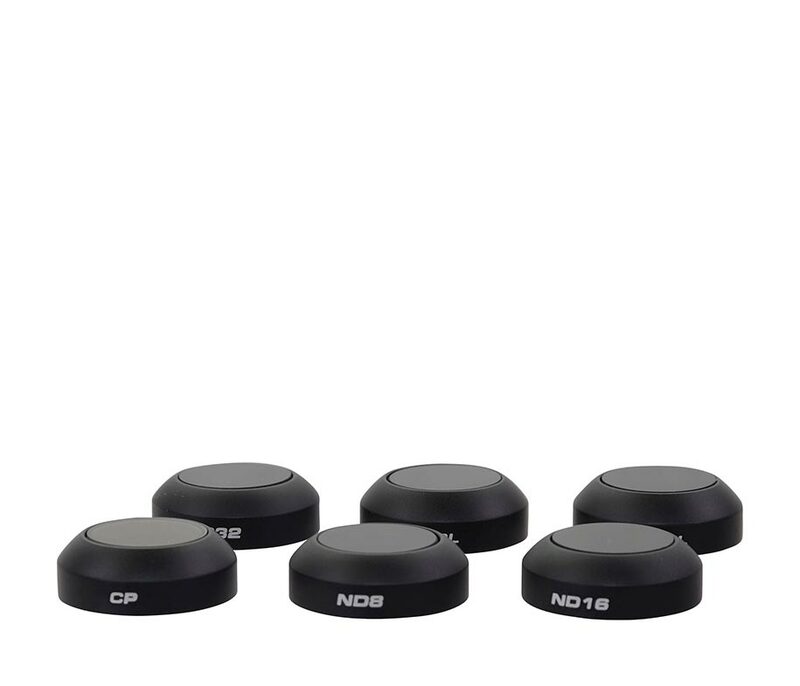 Improve the quality of your aerial footage with the Professional 6-Filter Pack for DJI Mavic Pro from Polar Pro. 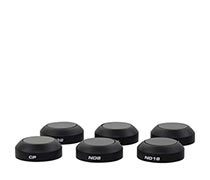 The pack includes 3-, 4-, and 5-stop neutral density (ND) filters, 3- and 4-stop neutral density/polarizer (NDPL) filters, and a circular polarizer (CP) filter. With the exception of the circular polarizer, all the filters are useful for slowing down the camera's shutter speed, resulting in smoother-looking motion and helping to reduce the appearance of rolling shutter. Additionally, they all offer different shooting solutions for dealing with various amounts of sunlight. 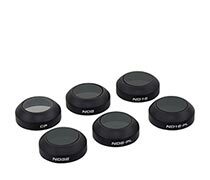 The Circular Polarizer (CP) filter is designed to reduce glare, which is helpful while filming over water or snow. The ND8 filter is designed for use on partly cloudy to mildly sunny days, when you need to knock the shutter down by 3 f-stops. The ND16 filter is designed for use on very bright days to reduce shutter speed by 4 f-stops. The ND32 reduces the camera's shutter speed by 5 f-stops, allowing you to capture cinematic-quality content even in the brightest conditions. Reducing the camera's shutter speed by 3 f-stops, the ND8/PL is a useful filter for partly cloudy days. 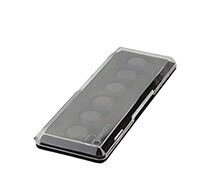 The polarizing aspect of this filter reduces glare and increases color saturation. The ND16/PL reduces shutter speed by 4 f-stops and polarizes the scene for capturing vivid colors on bright sunny days.